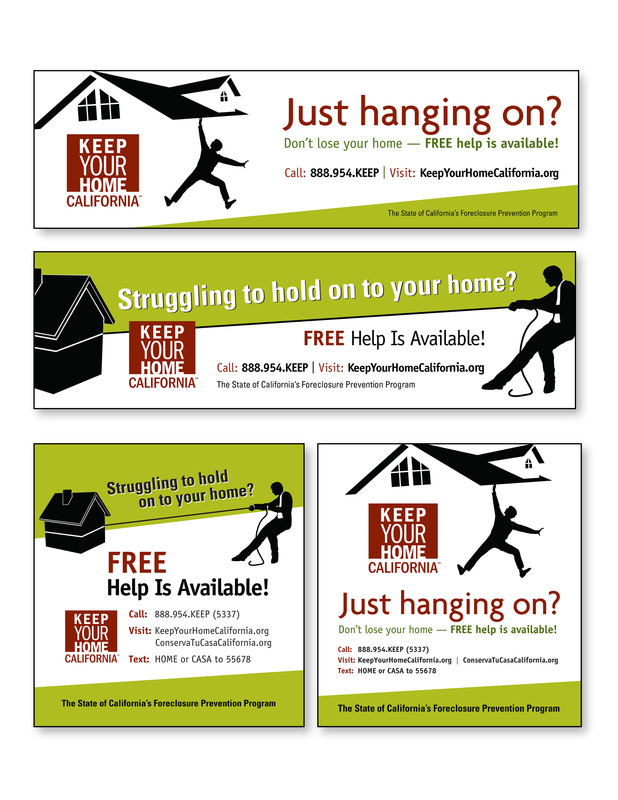 Bouchard has worked with CalHFA MAC on the development of advertising and marketing strategies for the statewide Keep Your Home California (KYHC) program, a federally funded foreclosure prevention assistance program. We were asked to assist in developing an integrated marketing and communications plan to reach the right audience with messaging that would compel them to act. Extract file of all program participants and identify custom data to append to each record as well as having each person’s psychographic profile via the PRISM system appended. Aggregate and analyze the data and sub-divide into the top five demographic and psychographic segments. Bouchard was able to negotiate nearly 83% in added value to the $3 million contract. This included a deal that included a statewide spokesperson for the program who would be widely recognized by both the Hispanic community as well as others in our target audience and was a good fit for delivering this message. The spokesperson we secured was well known actor and TV host Mario Lopez from ‘Extra!’ and ‘The X Factor’ television programs. We also negotiated news endorsed vignettes, :60 produced spots feature news reporters and anchors and use their credibility to talk about the KYHC program and help identify it as a state-run, federally funded program. A total of 90 airings valued at $193,500 were included. The total media buy came to more than $3 million dollars and included an additional $2.5 million dollars in added value components that were pre-negotiated by the Bouchard team. The program now has now helped more than 27,000 California homeowners and disbursed close to $500,000,000.